Nineteen-year-old university student Misaki Takahashi has been living with moody prize-winning novelist Akihiko Usami (‘Usagi’/’Bunny’) for a while now, doing the housekeeping and cooking to pay his keep. His presence has transformed Usami’s life but while the novelist dotes on Misaki, Misaki is still confused about his feelings. A chance encounter with a bemused businessman at the busy station ramps up the unresolved tensions in the relationship as Misaki’s kindly act is misinterpreted, bringing an endless shower of gifts (strawberries!) and the unsettling revelation that his new admirer is none other than Haruhiko, Usami’s older half-brother. Sibling rivalry over Misaki’s affections ensues… but as if that weren’t bad enough, Misaki later helps out another lost (and more mature) bemused businessman at the station, only to discover that he’s just met Fuyuhiko, the patriarch of the Usami family. And shrewd Fuyuhiko, although outwardly benign, on learning of Misaki’s relationship with Akihiko, takes no time to warn him that his presence in his son’s life is ‘troublesome’. 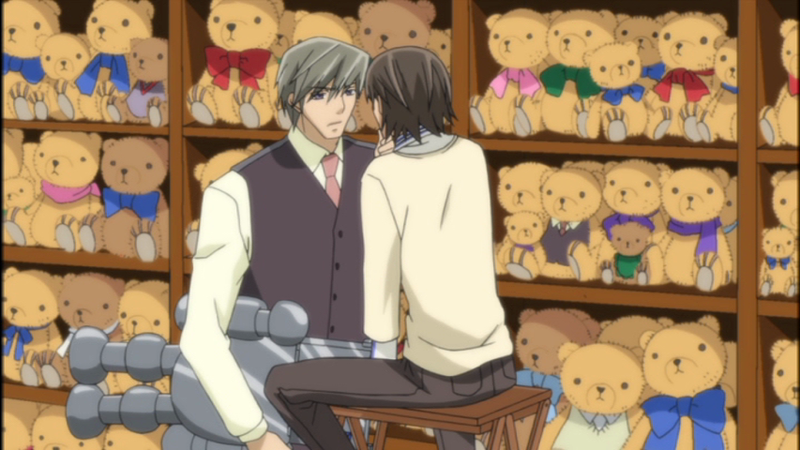 Will ‘Papa Usagi’ (as Misaki calls him behind his back) drive him and Akihiko apart? Meanwhile, the stormy relationship between literature lecturer Hiroki Kamijyou and trainee pediatric doctor Nowaki Kusama has run into trouble – again – when Hiro arrives home to find Nowaki and another man asleep, sharing the same futon. Is there an innocent explanation? Or is this the end? Hiro, a mess of self-doubt and introspection, believes the worst – especially when he discovers a fax (yes, a fax!) revealing that Nowaki has secretly been looking for a new apartment. While all this is going on, Hiro’s head of department, Professor You Miyagi, is trying to work out his feelings for seventeen-year-old Shinobu who, after throwing himself at him with fierce declarations of undying love, suddenly refuses to see him. Is it because Shinobu has found an old photo of Miyagi at seventeen with his literature teacher from school? Miyagi decides it’s time to tell Shinobu the truth about his first love and what became of her. How, he wonders, will tsundere Shinobu feel about him after he’s shared this intimate revelation? But first, Miyagi has to grab hold of Shinobu for long enough to get him to listen – which might just mean whisking him away by car, causing his Australian schoolfriend to think he’s been kidnapped! 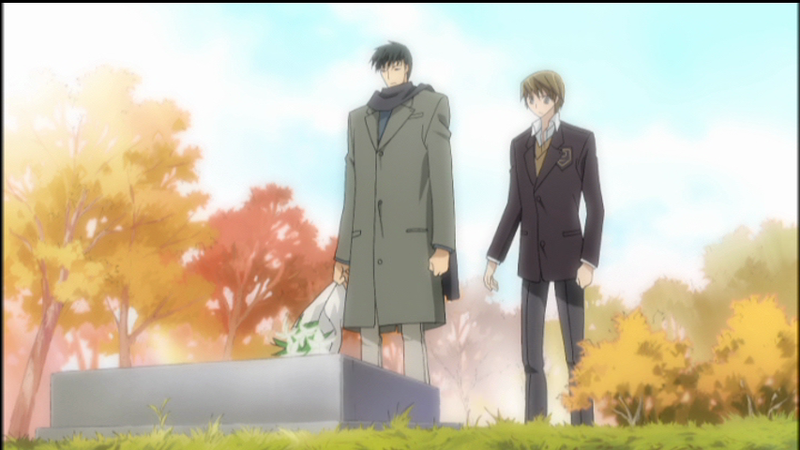 The three couples (Romantica, Egoist and Terrorist) of Shungiku Nakamura’s best-selling manga return to anime in the second season of this popular Boys Love series (2008) from Studio Deen. And there’s no escaping the fact that the character designs (which are very faithful to the mangaka’s original art) have not aged so well. Since then, we’ve had the satirical Gakuen Handsome anime series which mercilessly caricatured the pointed chin aesthetic that appeared in the works of so many BL mangaka, especially in the early 2000s, and now it’s hard not to un-see. 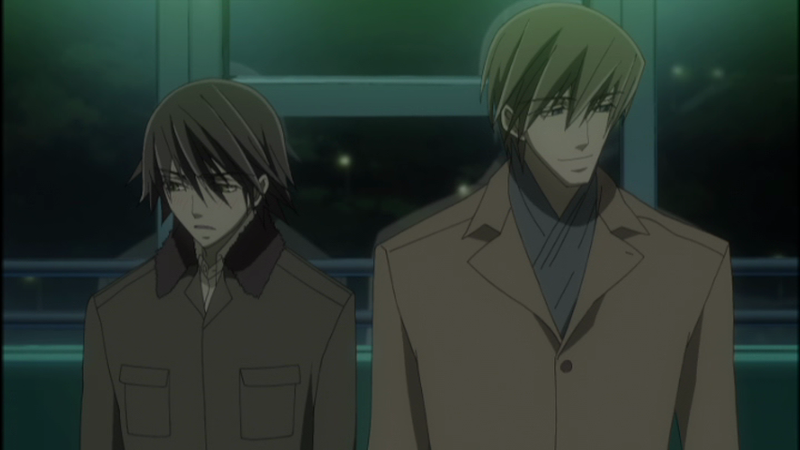 All the Junjo Romantica characters look absolutely fine in profile but many full-face shots are less successful. Even back then, Nakamura-sensei was frequently criticized for the coarseness of her art. So why is she such a best-seller? Because she’s a compelling and entertaining story-teller and understands her (predominantly female) readership extremely well. She seems to have been one of the first BL mangaka to infuse her stories with a healthy dose of humour: the manga is strewn with chibis, cute teddies, and yellow duckies. 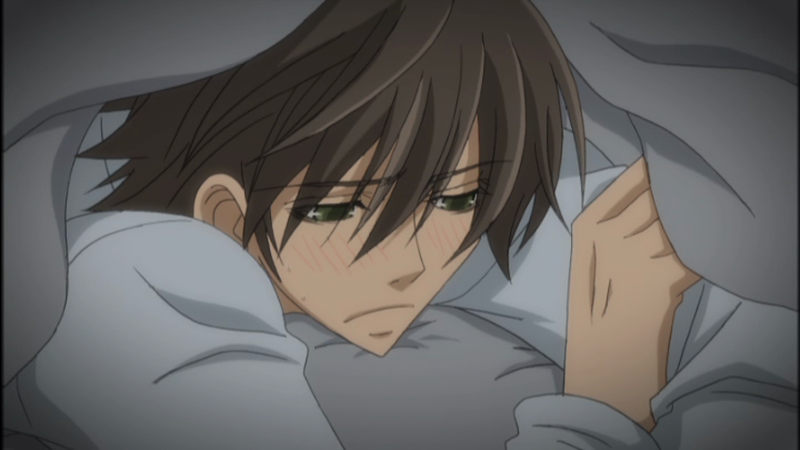 More significantly, Junjo Romantica is not afraid to talk about and explore feelings. The protagonists go through the highs and lows of falling in love, experiencing jealousy, anger and rejection, they cry (sometimes with happiness) and they argue. A lot. The Usagi x Misaki Romantica couple is a case in point; Misaki protests a great deal and seems incapable of acknowledging his feelings for Usami, yet can’t bear to see anyone else getting close to him. Nakamura’s typical shtick is to throw a spanner in the works of the couple’s everyday life; misunderstandings ensue, feelings run high, resulting eventually in a major crisis after which everything is – usually – resolved. But then, rather like in real life, the romantic atmosphere is punctured by some banal intrusion, such as an editor demanding a late manuscript. Ten years ago, this anime was quite a step up for the Boys Love genre – there were so few anime series out there, full-stop, and most were OVA. The only other BL title to receive a R2 physical release (apart from DRAMAtical Murder) has been Gravitation so, although it’s a little late, Junjo Romantica is to be welcomed and I can only hope it might pave the way to more recent titles, such as the excellent Doukyusei and Hitorijime, My Hero being made available in the UK. 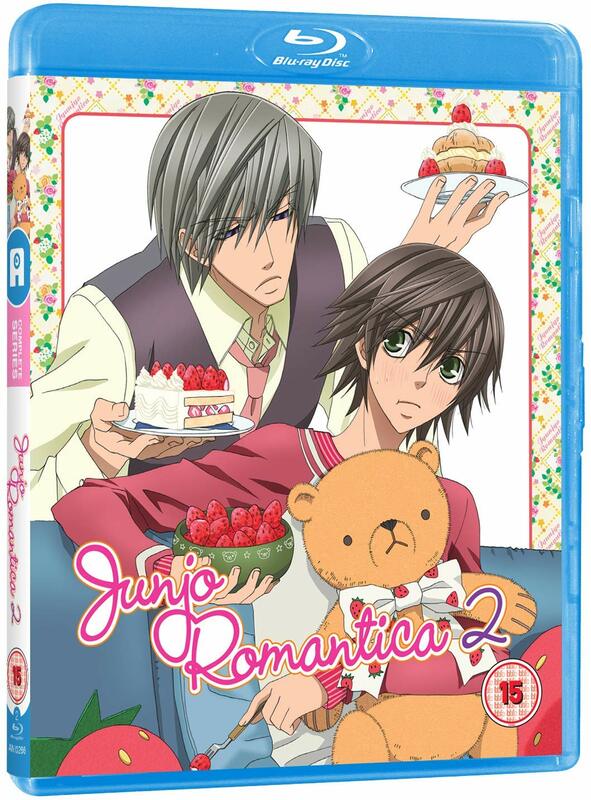 It’s worth noting that all three series of Junjo Romantica have been directed by Chiaki Kon – and she’s also the director of highly acclaimed mystery anime Higurashi (currently being re-released by MVM) and Sekaiichi Hatsukoi (based on Nakamura’s other huge hit series, set in the publishing house first introduced in Junjo Romantica). Due to Chiaki Kon’s influence, I imagine, the pacing of the story is tight (and faithful to the manga) which makes it an engaging watch. The Japanese voice cast deliver convincing performances which add a great deal to the viewer’s enjoyment of the unfolding drama. Hikaru Hanada as ‘Usagi’ has a wonderfully smoky quality to his voice which works well for the introspective novelist and the versatile Takahiro Sakurai (Suzaku in Code Geass, Griffith in Berserk) brings just the right blend of hyperactive enthusiasm and vulnerability to Misaki. The Opening Theme is “Shōdō” by Pigstar (who also provided the Opening for Season 1 and it sounds very similar to that) and the Ending Theme is “Aioi ” by JUNED which is not very distinguished, although the animation showcases Nakamura’s trademark cute animals: a chick, a duck, a panda. Music is somewhat minimal, coming from MOKA☆ and much of it is reused from Season 1, including the odd but distinctive little piano accordion motive used whenever Usami’s apartment is shown (very French!?). The only extras on this Blu-ray release from Anime Limited are textless Opening and Ending songs. There is no English dub but the subtitles are in yellow and easy to read. 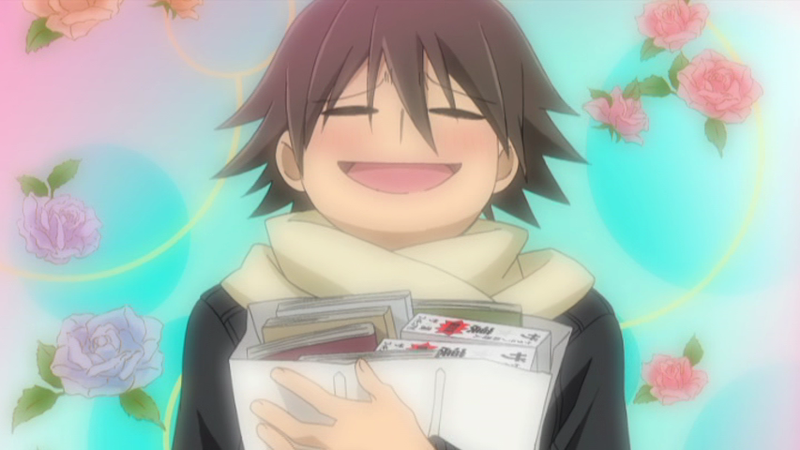 In the end, whether you like Junjo Romantica or not depends on whether you like this sort of thing. The animation is not great but the very fact that this entertaining slice-of-life Boys Love anime series portraying three male x male relationships unashamedly (no one angsts about being gay or explains their relationship away as being only ‘gay for you’) has been made available in the UK is a step in the right direction. Now can we have Season 3, pretty please, Anime Limited?